Let’s face it, EA’s actions this year have been nothing but one disappointment after another for gamers everyhwere. From shutting down great studios to implementing highly questionable mechanics in their games, they have done everything to ensure they become one of the most hated companies in the gaming industry. In fact, their response to the Star Wars Battlefront II loot box debacle is the most downvoted post on Reddit! What makes it worse it that once upon a time, in a galaxy not so far away, some of the best titles to come out were published under the banner of EA. And they seem have thrown all of it away, just for one thing – profits. It seems like EA plans to stop at nothing when it comes to sucking the wallets of their customers. So much so, that they’ve actually gambled on their relationship with Disney and the Star Wars franchise, just to push loot boxes. Sure, they’ve turned off the microtransactions (for now), but that’s nothing but them trying to put out the fire they started. And quite frankly, the damage has been done. Even if the game ends up making a lot of money (come on, it’s a Star Wars game), gamers are always going to remember EA’s true intentions. And let’s not forget NFS Payback, which is no better state, favouring loot boxes in the place of car tune ups. 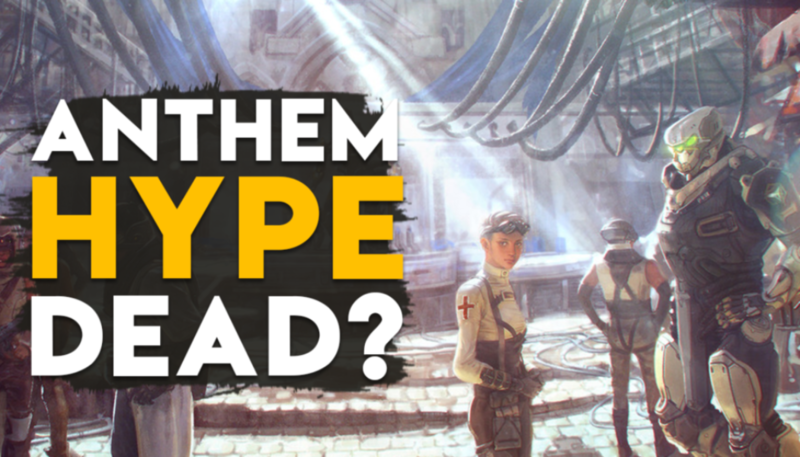 In the wake of these events, it’s hard not to wonder about the fate of what is probably’s EA biggest project for next year, Anthem. Don’t get me wrong, I have full faith in Bioware and their capability to craft a wonderful game. If the E3 showcase was any clue, the game looks really interesting too. But I can’t shake the thought of EA ruining the game with their EA-ness. They seem to have made it clear that self-contained, single-player driven experiences aren’t a priority. 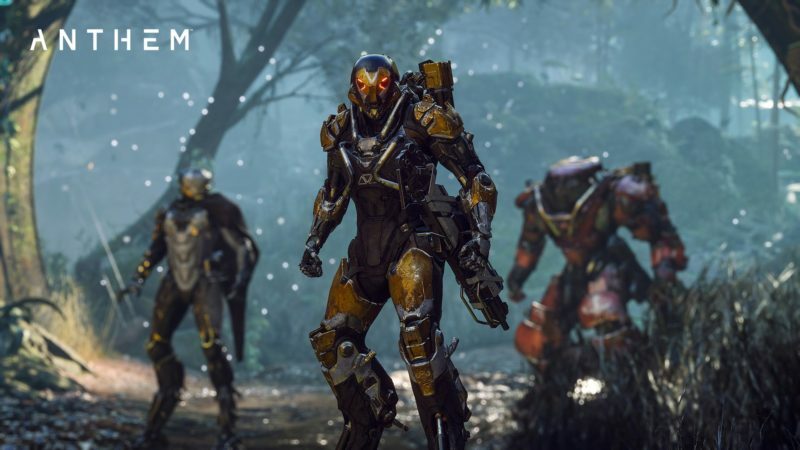 Already they talk of Anthem as a platform, reiterating the “games as a service” model which has more or less becoming a norm. In their own words, they see the game as a 10-year project. Now where did I hear that before? That’s right, it was with Activision and Bungie’s space shooter Destiny, and we all know how that turned out. Now, Destiny was far from a flop game, but it doesn’t need to be pointed out that it didn’t come anywhere close to being the huge 10-year long game the publishers and devs promised. I mean, there’s a reason we have Destiny 2, right? The only problem with being so ambitious with a single game is that you need to ensure a steady stream of quality content to keep the gamers interested. No one is going to keep playing the same title for the next 10 years, no matter how good it is, unless it offers something new every once in a while. That is not an easy feat to accomplish in today’s world of ever-changing trends and preferences. This is exactly what worries me about Anthem. We hardly know anything about the game, but EA is already seeing it as a cash cow they can milk for a decade. The way they’ve been aggressively pushing microtransactions this year without any regards for consequences is clear proof of how they plan to stop at nothing to maximize their profits. Another scary thing was the closing down of Visceral Games. 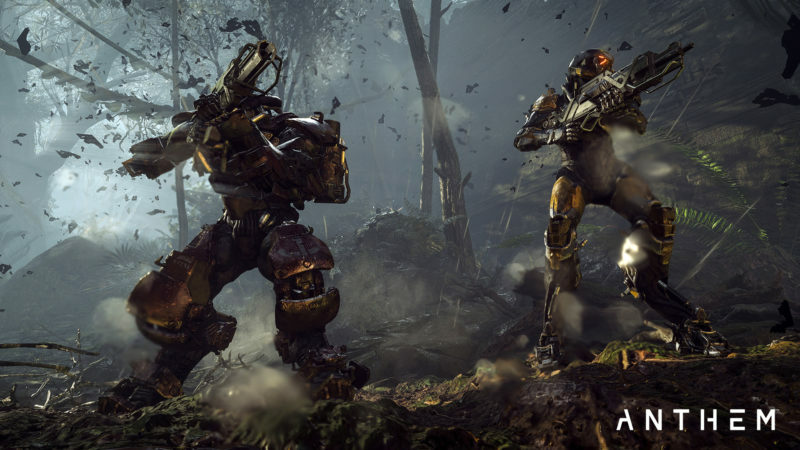 Like it or not, I have a feeling that Bioware’s fate now rests on how Anthem performs. And no matter how hard they work on the game, one can be sure that their vision will definitely be compromised, thanks to EA’s greed. Let’s face the truth, EA isn’t interested in a well crafted or immersive game, they just want something that can make them a ton of money as fast as possible. Honestly, I wouldn’t be surprised if Anthem is the last game we see from Bioware. As much as I want to believe in Anthem, I cannot put any semblance of faith in EA. When you talk about “games as a service” and a 10 year online experience, I fear seeing a broken, fragmented game where major unlocks are locked behind paywalls, in addition to the expansion packs and the different editions. Because that’s what the AAA gaming industry has become all about. As much as I expect Bioware to blow me away with an amazing story, I know that’s probably not going to happen, because that’s not what EA wants. As much as I’d love to be hyped about the game, watching the E3 gameplay, I can’t help but feel an impending sense of disappointment. For a year that started with a bang with a number of amazing titles, EA has done a fine job of ending it on a disappointing note.